Man, this is not easy. There are at least two major decision-making processes going on as we downsize. There are the decisions that we make regarding what we can take with us as we go on our nomadic adventure overseas, where we will only take one large suitcase and a carry-on … for a year or more of travel. Then there are the decisions about what we will keep for use after we return to the US from our walkabout and move into a small apartment somewhere for a while. Both sets of plans require a great deal of soul-searching. These exercises force one to view the future. Specifically, … my future. Getting rid of certain things marks the end of one era and the start of another, yet somewhere inside a small voice reminds me of my mortality. It reminds me that now is the time. Where is that garbage can? As we reduce the amount of possessions we will put into storage, it is essential that items that will not be needed again be disposed of. Take tools for example. Once we have returned and are setting up a small apartment, will I ever need my hoe or circular saw again? When we are renting will I need to have the 10 foot long dryer vent cleaner brush? Or my tap and die set? 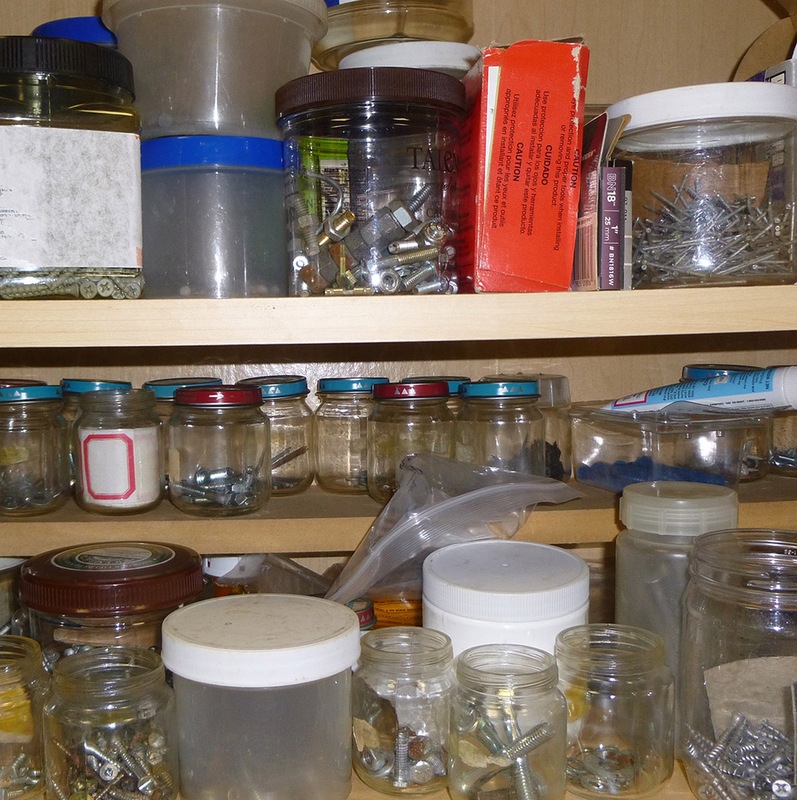 How about the jars and containers of screws and nuts and bolts and nails and parts and things? As a rather MacGyver-esque tinkerer, how will I solve the myriad problems of life if I don’t have my tools and resources close at hand? MacGyver solved complex problems with everyday materials he found at hand, along with his ever-present duct tape and Swiss Army knife. But I can’t save my collection of PVC scraps that are like a combination of Lego and Erector Set, or the pieces of wood or metal that I often craft parts for repairs or inventions. Will I need my block and tackle or bucket of plumbing supplies again? 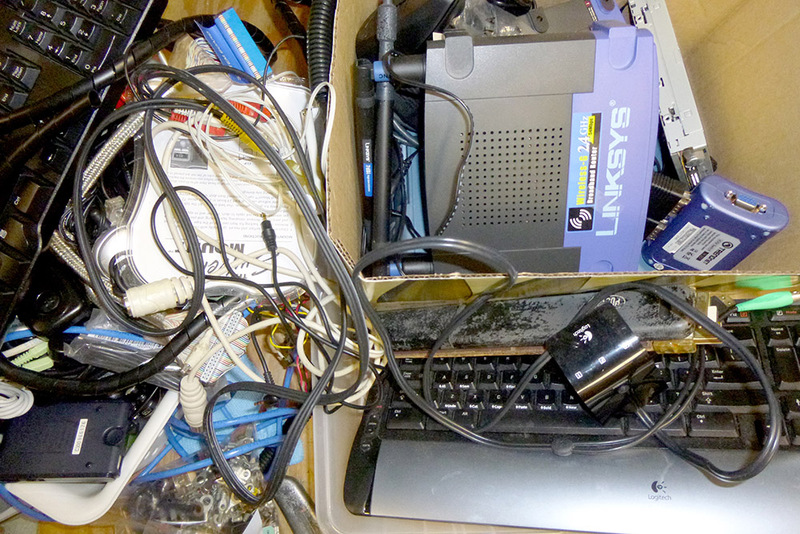 Not having this particular stuff is a troubling thought, and I haven’t mentioned the IT related things like USB and network cables, and extra brackets and adapters. And I guess I can finally get rid of the floppy disk drive that I have been keeping around along with the dozen or so disks that I have. Of course I will be infuriated when, months and months from now, I have to go out and buy another dryer vent cleaner brush. Oh, and then there is the photography stuff. Hmmmmmm. Another step… Easy, we don’t need no stinkin’ easy?